Jeanne Wilson Anthony was a lifelong resident of Little Rock, Arkansas. She graduated from Little Rock High School, class of 1932. Miss Jeanne, as many knew her, attended the University of Central Arkansas and graduated from Baylor University in Waco, Texas. Miss Jeanne passed away on January 7, 2005 and she was preceded in death by her husband of nearly fifty years, Allen D. Anthony, who died in 1986. In 1944, she and her husband, Allen, co-founded the first secular independent school in Arkansas, The Anthony School, by opening the first kindergarten classroom, renting classroom space at Pulaski Heights Elementary School in Little Rock. Additional grades were developed one year at a time thereafter, ending with the eighth grade. For forty-nine years, she served as the Director of The Anthony School, overseeing its administration while also teaching in the classrooms and knowing every child and his or her progress on a steady basis. She schooled her teachers in a particular methodology that is now common in our educational systems, blending writing and reading to create greater literacy, and teaching in a sequence that was developmentally appropriate. 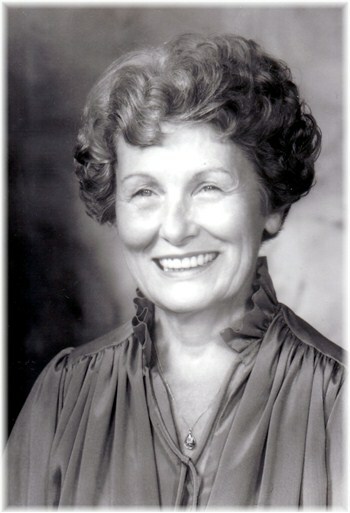 Aside from the academic teaching, Jeanne Anthony directed numerous children's theatre productions with scripts and music written by her parents, and taught many young people to ballroom dance. She authored several journal articles concerning academic therapies and collaborated with UAMS faculty members, Dr. John Peters and Dr. Sam Clements, to establish the Child Study Center, including the Therapeutic Day School for children with learning disabilities. She co-founded the Arkansas Association for Children with Learning Disabilities, now named Learning Disabilities Association of Arkansas, and served as an officer and board member of the organization. She served as treasurer of the Arkansas Council of Exceptional Children and was a member of the organization's Panel on Gifted and Talented Children. She was a delegate to the first White House Conference for Children and Youth and served as a member of the Governor's Advisory Committee for Early Education. She developed methodologies individually adapted to the needs of both gifted and learning-disabled children. For this and for her other efforts to improve the lives of children, Miss Jeanne received the Jean Lukens Award and was honored with a scholarship in her name for teacher training at the UAMS Child Study Center' Day School.